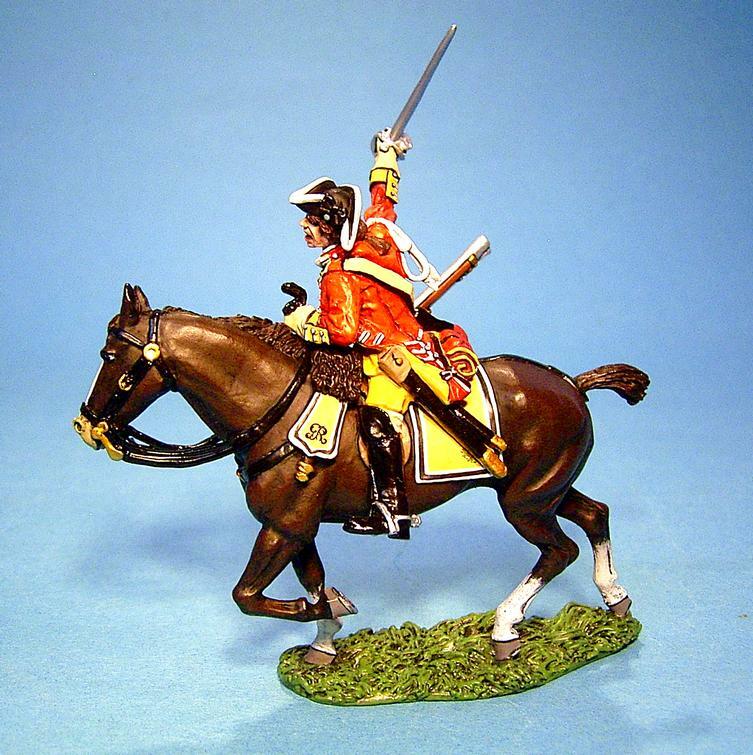 At the outbreak of the Jacobite Rebellion Cobham's were serving on the Continent in the War of the Austrian Succession as part of a British army under the command of George II's son, the Duke of Cumberland. When early attempts to stamp out the rebellion failed Cobham's was part of the large force shipped back to Britain under Cumberland to deal with the threat. 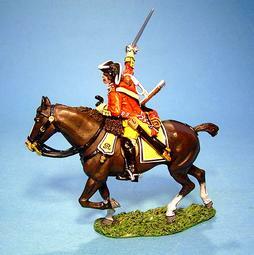 Cumberland had only three regiments of horse, Cobham's Dragoons, Kerr's Dragoons and Kingston's Horse. At the battle of Culloden Cobham's found itself in the unusual situation of being split between the two flanks of the army. 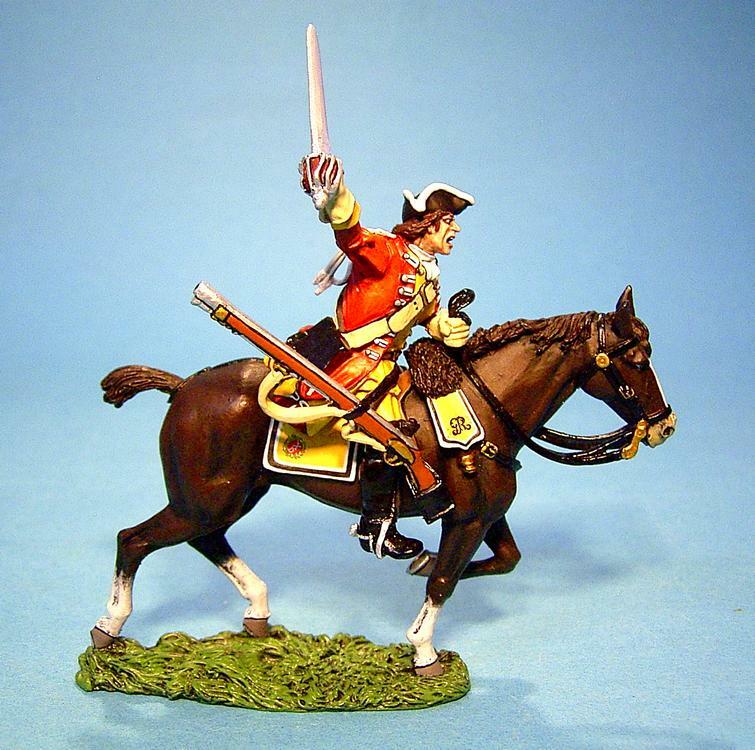 Both parts were engaged with the rebel army and in particular the rebel horse and the small units of French troops sent to aid the rebels. With victory assured it took part in the pursuit of the broken rebel army, its troopers being the first Government troops to reach Inverness, the Jacobite headquarters before the battle.